French teacher, always loving English. 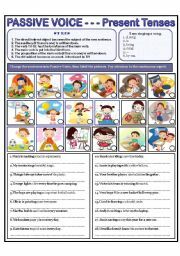 Past Simple: label the pictures, form sentences. 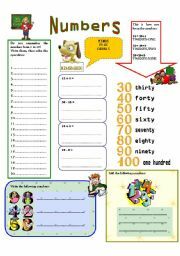 Exercises for beginners: numbers from 20 to 100. 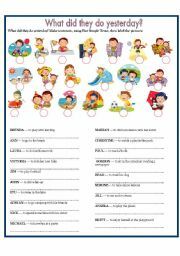 This worksheet has lots of adjectives to describe personality and I hope it will help your students to speak about themselves, too. 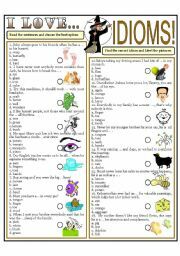 Choose the best word to complete the idiom, then label the pictures. The very same time the site got sick, my PC decided to do the same. :( still having a little time to work. So, this is a ws about effect and result, beginning and duration; plus exemples and exercises. Exercises with WISH and IF ONLY. 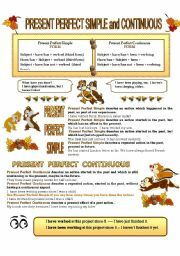 Exercises with FOR, SINCE, PRESENT PERFECT SIMPLE and PAST SIMPLE. 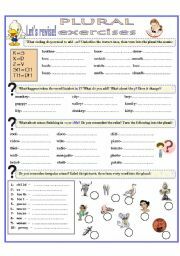 Various exercises with plural forms. 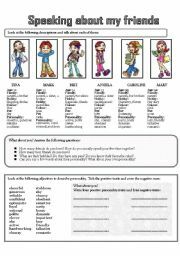 An elementary quiz about the use of DO/DOES. Two pages with Passive Voice exercises.